Although the timing belt is a common part of the engine, not all OEM and aftermarket timing belts are designed to be used on highly tuned turbo powered engines. The durability of the timing belt is greatly reduced with performance engines running at high RPM with aggressive camshafts, increased torque coming from the valve springs, extreme heat conditions from the larger turbos and more. 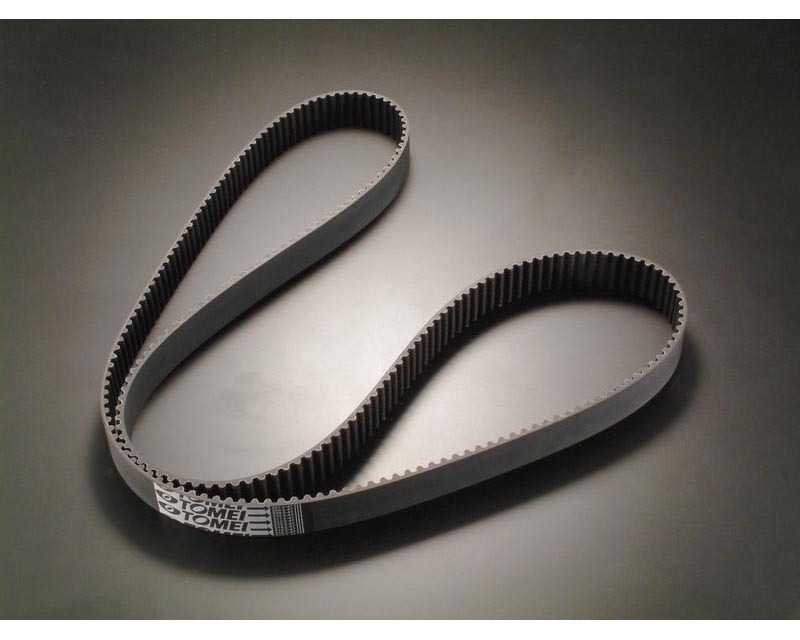 Tomei strengthened timing belts are designed and manufactured with a Kevlar fiber belt surface, H-NB rubber, and the glass cable core for increased tensile strength and durability. This results in a highly durable timing belt that will ensure to keep everything in check even under extreme conditions. Timing belt failure can cause catastrophic engine failure. On and interference engine, a broken timing belt will cause the valve to stay in the open position, which means the piston will contact the valve as it hits top dead center, shattering the valve and destroying the inside of your engine.